Lesen Sie bitte die folgenden Nutzungsbedingungen und Haftungsausschlüsse vor der Nutzung dieser Website sorgfältig durch. The network of Web Sites (collectively, the „Duracell Web Sites“) operated by The Duracell Company or its affiliates or subsidiaries („Duracell“), is comprised of various Web sites and Web pages. The Duracell Web Sites are offered to you conditioned on your acceptance without modification of the terms, conditions, and notices contained herein. Your use of the Duracell Web Sites constitutes your agreement to all such terms, conditions, and notices. Your use of a particular Duracell website included within the Duracell Web Sites network may also be subject to additional terms outlined elsewhere on that website (the „Additional Terms“). Additionally, the Duracell Web Sites may themselves contain additional terms that govern particular features or offers (for example, sweepstakes or chat areas). In the event that any of the terms, conditions, and notices contained herein conflict with the Additional Terms or other terms and guidelines contained within any particular Duracell website, then these terms shall control. The entire content included in this Site, including but not limited to text, design, graphics, interfaces, or code and the selection and arrangements thereof is copyrighted as a collective work under the United States and other copyright laws, and is the property of Duracell. The collective work includes works that are licensed to Duracell. Copyright 2016. ALL RIGHTS RESERVED. All trademarks, service marks, and trade names (collectively the „Marks“) are trademarks or registered trademarks of and are proprietary to Duracell, or other respective owners that have granted Duracell the right and license to use such Marks. Duracell respects the intellectual property of others, and we ask our users and visitors to do the same. Duracell will process and investigate notices of alleged infringement and will take appropriate actions under the Digital Millennium Copyright Act („DMCA“) and other applicable intellectual property laws. 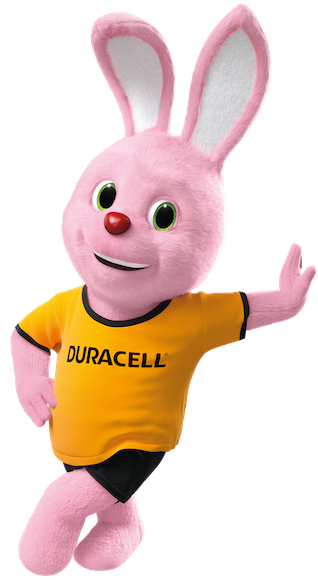 Upon receipt of notices complying with the DMCA, Duracell will act to remove or disable access to any material found to be infringing or found to be the subject of infringing activity and will act to remove or disable access to any reference or link to material or activity that is found to be infringing. Duracell does not and cannot review all communications and materials posted to or created by users accessing the Site and is not in any manner responsible for the content of these communications and materials. You acknowledge that by providing you with the ability to view and distribute user-generated content on the Site, Duracell is merely acting as a passive conduit for such distribution and is not undertaking any obligation or liability relating to any contents or activities on the Site. However, Duracell reserves the right to block or remove communications or materials that it determines to be (a) abusive, defamatory, or obscene, (b) fraudulent, deceptive, or misleading, (c) in violation of a copyright, trademark or; other intellectual property right of another or (d) violates any law or regulation or (e) offensive or otherwise unacceptable to Duracell at its sole discretion. Note that any personally identifiable information you may post or transmit will be treated by Duracell in accordance with Duracell’s Privacy Statement. Except for any personally identifiable information we may collect from you under the guidelines established in our Privacy Statement, any material, information or other communication you transmit, upload or post to this Site („Communications“) will be considered non-confidential and non-proprietary. Duracell will have no obligations with respect to the Communications. Duracell and its designees will be free to copy, disclose, distribute, incorporate and otherwise use the Communications and all data, images, sounds, text, and other things embodied therein for any and all commercial or noncommercial purposes. In an attempt to provide increased value to our visitors, this Site may contain links to other sites on the Internet that are owned and operated by third-party vendors and other third parties (the „External Sites“). However, even if the third party is affiliated with Duracell, Duracell has no control over these linked sites, all of which have separate privacy and data collection practices, independent of Duracell. Duracell has no responsibility or liability for these independent policies or actions and is not responsible for the privacy practices or the content of such web sites. These linked sites are only for your convenience and therefore you access them at your own risk. Links do not imply that Duracell sponsors, endorses, is affiliated with or associated with, or has been legally authorised to use any trademark, trade name, service mark, design, logo, symbol or other copyrighted materials displayed on or accessible through such External Sites. Nonetheless, Duracell seeks to protect the integrity of its Site and the links placed upon it and therefore requests any feedback on not only its own Site, but for sites it links to as well (including if a specific link does not work).You should contact the Site administrator or Webmaster for those External Sites if you have any concerns regarding such links or the content located on such External Sites. Duracell does not filter advertisements or other content that children may view through our sites or „hot-linked“ sites, and they could receive content and materials from the Internet and/or advertising that are inappropriate for children. We encourage parents and guardians to spend time online with their children and to consider using electronic filtering software. THIS SITE AND THE MATERIALS, INFORMATION, SERVICES, AND PRODUCTS IN THIS SITE, INCLUDING, WITHOUT LIMITATION, TEXT, GRAPHICS, AND LINKS, ARE PROVIDED „AS IS“ AND WITHOUT WARRANTIES OF ANY KIND, WHETHER EXPRESS OR IMPLIED. TO THE FULLEST EXTENT PERMISSIBLE PURSUANT TO APPLICABLE LAW, DURACELL DISCLAIMS ALL WARRANTIES, EXPRESS OR IMPLIED, INCLUDING, BUT NOT LIMITED TO, IMPLIED WARRANTIES OF MERCHANTABILITY AND FITNESS FOR A PARTICULAR PURPOSE, NON-INFRINGEMENT, FREEDOM FROM COMPUTER VIRUS, AND WARRANTIES ARISING FROM COURSE OF DEALING OR COURSE OF PERFORMANCE. DURACELL DOES NOT REPRESENT OR WARRANT THAT THE FUNCTIONS CONTAINED IN THE SITE WILL BE UNINTERRUPTED OR ERROR-FREE, THAT DEFECTS WILL BE CORRECTED, OR THAT THIS SITE OR THE SERVER THAT MAKES THE SITE AVAILABLE ARE FREE OF VIRUSES OR OTHER HARMFUL COMPONENTS. DURACELL DOES NOT MAKE ANY WARRANTIES OR REPRESENTATIONS REGARDING THE USE OF THE MATERIALS IN THIS SITE IN TERMS OF THEIR COMPLETENESS, CORRECTNESS, ACCURACY, ADEQUACY, USEFULNESS, TIMELINESS, RELIABILITY OR OTHERWISE. THE ABOVE LIMITATIONS MAY NOT APPLY TO YOU. You agree to indemnify, defend, and hold harmless Duracell, its officers, directors, employees, agents, licensors and suppliers (collectively the „Provider“) from and against all losses, expenses, damages and costs, including reasonable attorneys‘ fees, resulting from any violation of these terms and conditions or any activity related to your Internet account (including negligent or wrongful conduct), by you or any other person accessing the Site using your Internet account.